Welcome to dpm security. We are a family run business that aims to provide our customers with solutions to the increasingly important security issues within the home and business. Here at dpm security we pride ourselves in the quality installation of Intruder Alarms, CCTV, Access Control, and Gate Automation. In addition to new installations, we can provide fault resolutions, update existing systems or carry out ongoing general maintenance for all aspects of electronic security. We are situated in Attleborough, South Norfolk and offer our services across East Anglia. Our clients are important to us and we will always be on hand to offer ongoing support and advice as required. Please browse through our website to get a brief idea of the systems we provide and feel free to contact us for any further information. We are more than happy to help. Intruder Alarms are a trusted and proven deterrent, providing peace of mind for the home and business owner. We install the latest Insurance graded equipment, designed specifically to suit your individual needs. 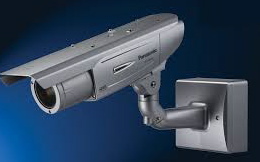 CCTV has become an integral part of the fight against crime. Technological advances have made the capturing, recording and playback of quality images user friendly, and an affordable option for home and business security. Maintain building security without the fuss of locks and keys. Easily control access with the use of cards, fobs and codes.